Air ducts which dutifully regulate the flow and quality of air are no longer appliances only associated with cinemas, shopping malls and office complexes. 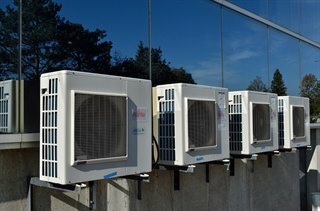 In fact, many homes around the states have been taking advantages of these technological necessities for years, whether they are fitted to regulate temperatures around the home or to improve the air quality therein, ventilation systems have been proven to be an excellent addition to any home. So why should you get one? Residential air ducts are in fact widely regarded as the perfect solution for those looking to take the icy chill out of the living-room air or to beat back the sweaty ravages of mid-summer heat in the bedroom. Their ability to properly regulate temperatures in a home without having too much of an impact on your power bills is in fact one of many good reasons why having such a system installed in your home is a great idea. Another major advantage to having a ventilation system fitted in your home is one that relates to the maintenance of crisp, clean indoor air quality that is free from contaminants that can spread allergens, contribute to the removal of damp and goes a long way towards combatting unpleasant odors such as those generated from pet hair and cigarette smoke. One would think that having such a system in your home shall lead to invariably high costs with regards to power consumption and maintenance tasks, however when it comes to systems designed for residential use, this is simply not the case. A well-tuned system requires a surprisingly little amount of power for their operations, especially when used mindfully, particularly when careful attention is paid to tasks such as air duct cleaning. Ventilation cleaning is often the only maintenance task that is considered crucial to the correct operation of your system. This is considerably good news when one considers the ease at which this task can be conducted. All you need to do is have a professional clean at an affordable rate, possibly once or at most, twice a year, depending on the conditions your system operates under.